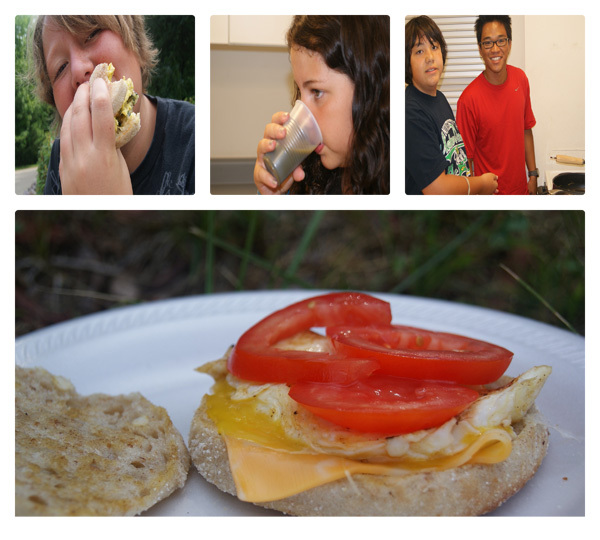 The egg sandwiches were great – very satisfying, healthy and easy to make! We made the eggs different ways – some preferred them scrambled, some over easy and some we even made in the microwave! Layer with slice of cheese, egg and tomato slices. Serve with 1/2 cup juice or an orange.